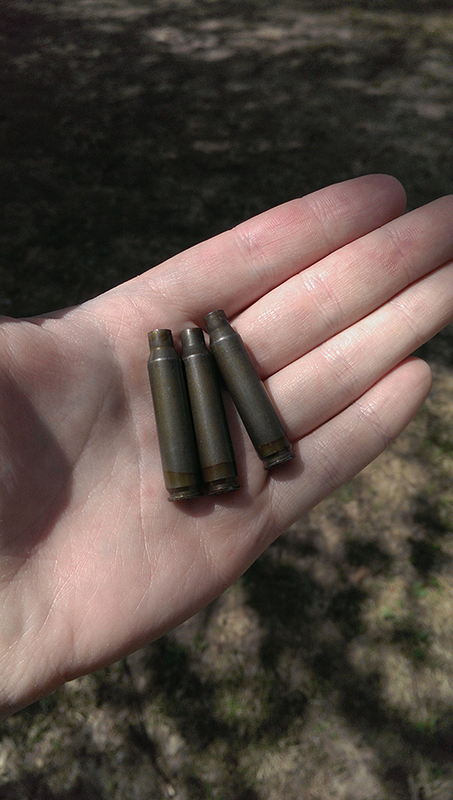 A handful of Brown Bear .223 steel casings used in the testing. No damage to the receiver, but my hands look like I wrestled a wild boar. Note to self, do not repeatedly mortar an AR-15 without protective gloves. None the less, no noticeable stress points on the polymer takedown pins from the New Frontier LPK either, which is a good sign! Inducing a stuck case. 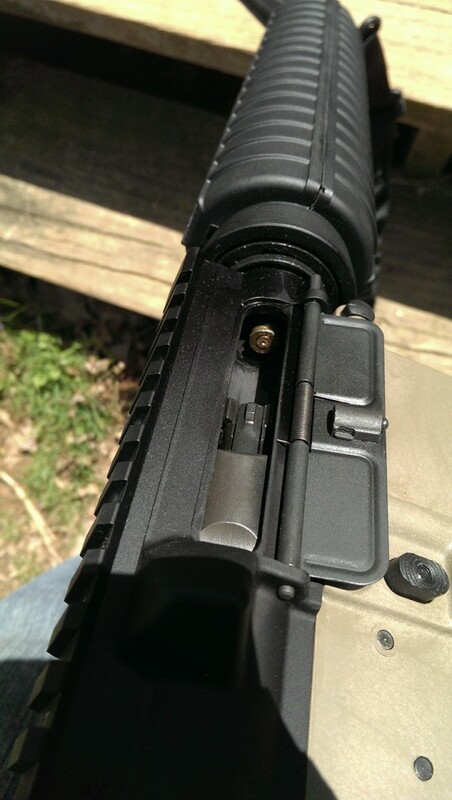 DISCLAIMER: DON'T DO THIS TO YOUR RIFLE. I got fed up with skinning my knuckles after about 15 mortars and having to pound 5 or 6 more out with a hammer, so I changed tactics. I detached the lower, threw it on the deck and kicked it around a bit, stepped on it, jumped on it and jumped on it from a couple of stairs up. All kicking, jumping and other abuse was performed with no magazine in the magwell and every attempt to crush said empty magwell failed. I then retrieved the slightly dirty but otherwise unfazed lower and decided to take it a step further and throw "practical field testing" to the wind by outright beating a tree with it. I held the receiver by the magwell and thumped a holly tree trunk, starting from love taps and working my way to outright Louisville Slugger swings. 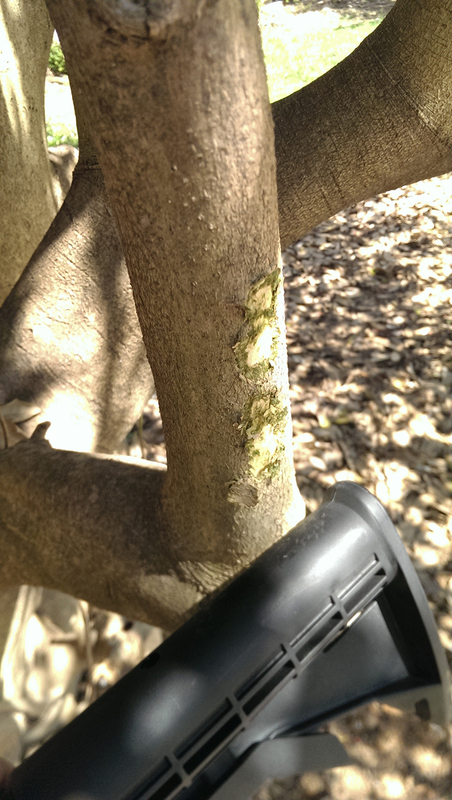 Both the tree and the plain-jane M4 stock were scarred, but the receiver showed no signs of stress at all. After ten to twenty whacks at several levels of force, my already tenderized hands had enough and I called it quits for the day with at least thirty hits to the tree and ten more to the cross-beams of our wooden deck. The tree is slightly more damaged than my hands. Slightly. I honestly can't find any sort of practical test that would harm this receiver or make it in any way inferior to an aluminum one. Arguments could be made about the unknown longevity of a polymer mixture when exposed to elements or UV rays for extended periods or exposure to heat, but I seriously doubt any of those are real concerns for the vast majority of gun owners. What I do know from firsthand experience is that the receiver takes one hell of a beating and shows no signs of stress where other products have failed in the past. I'll continue to abuse the test receiver until it finally breaks or I do. The latter seems more likely at this rate, though. If I'm able to secure the lower in a vise well enough I may also hang a bucket off of the stock and stack barbell weights into it to see just how much it can take.